***We already have several offers on the table. We will be taking the highest and best offer by THIS FRIDAY, APRIL 19th by 7PM. 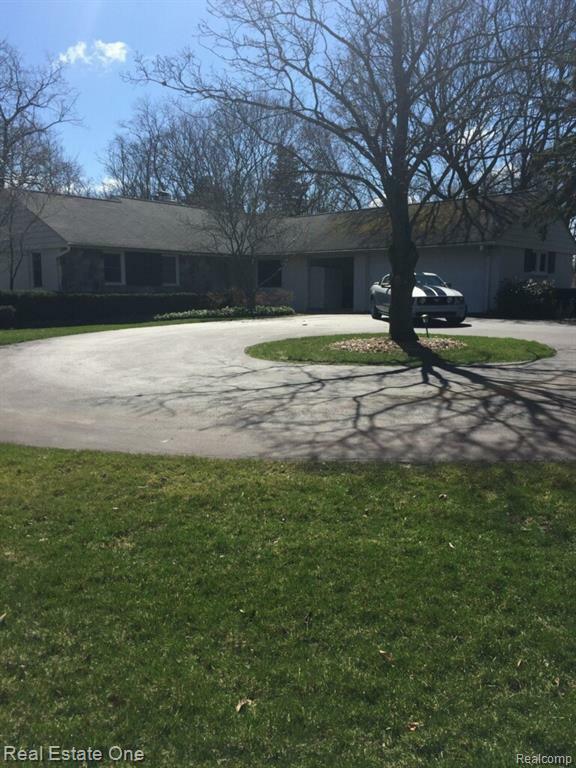 *** BEAUTIFUL 3 BEDROOM 2 FULL BATH RANCH TUCKED AWAY ON PICTURESQUE 1.66 ACRES IN FARMINGTON HILLS. FORMAL LIVING ROOM WITH NATURAL FIREPLACE. LIBRARY WITH BUILT INS. EAT IN KITCHEN. PARTIALLY FINISHED WALK OUT LOWER LEVEL WITH FIREPLACE. NEW WINDOWS AND PAINT. ALL WOOD FLOORS REFINISHED. YOU WON'T WANT TO MISS THIS HOUSE.